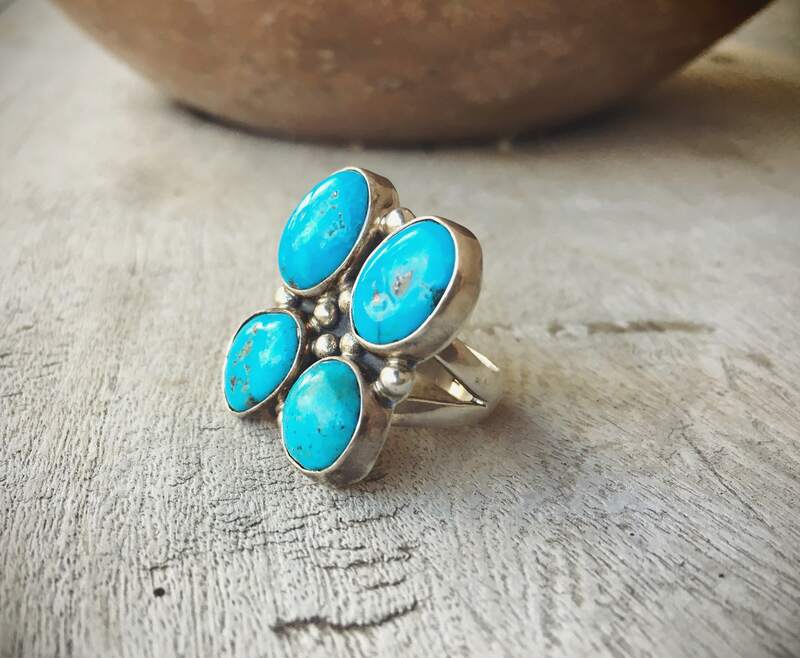 This ring has a large and appealing ring face--although the ring size itself is not large. 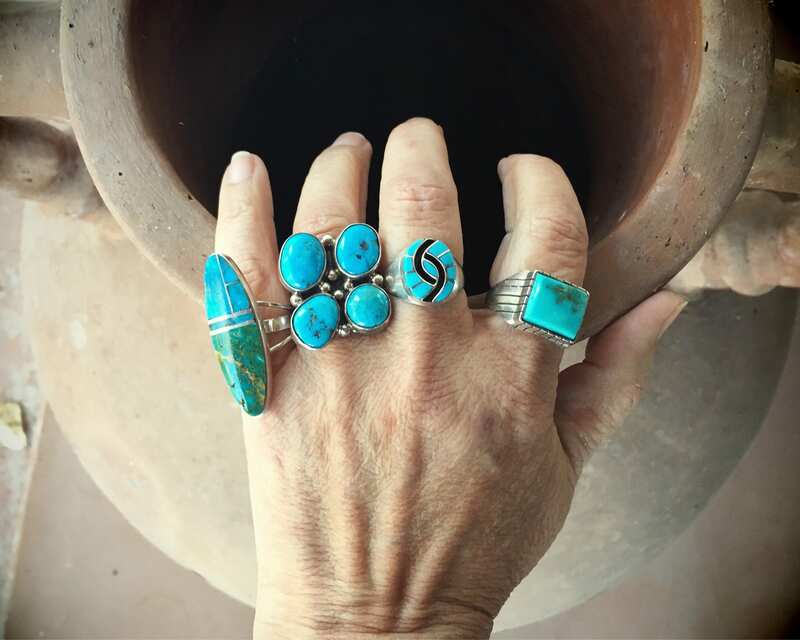 What stands out most is the color of the turquoise, which we've come to associate with the name--bright blue, and in this case with bits of black matrix. 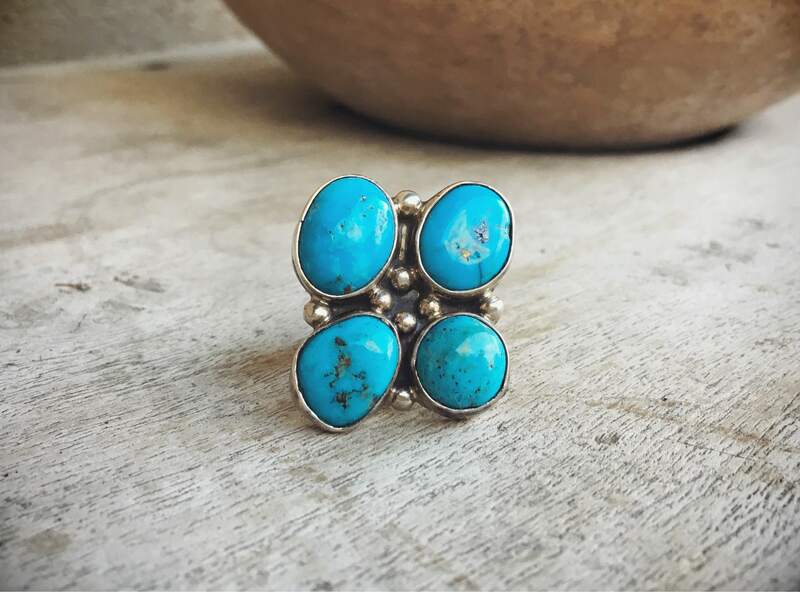 The ring creates a big and noticeable presence on the finger, with four cabochons set in a square-ish pattern. 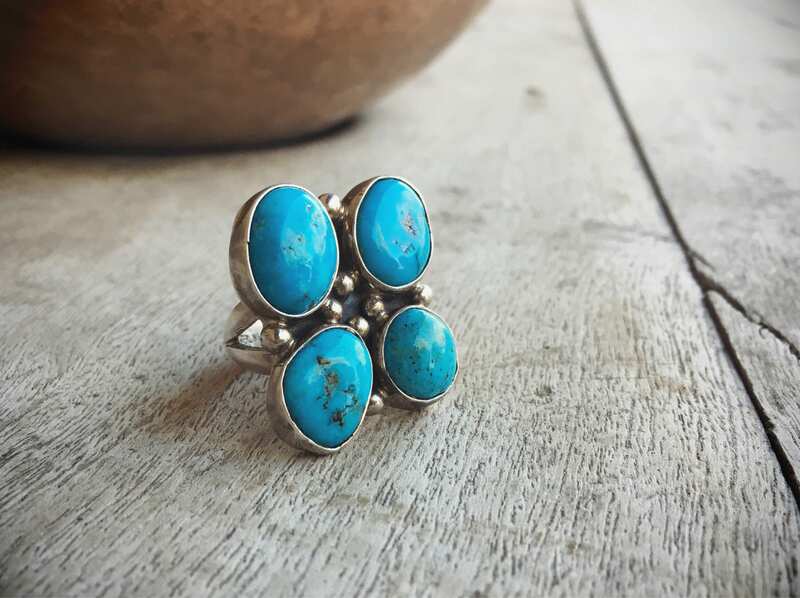 Each cab is big enough to be in itself a ring, yet here are four together. Silver raindrops punctuate the setting, and all on a double shank band with weight. 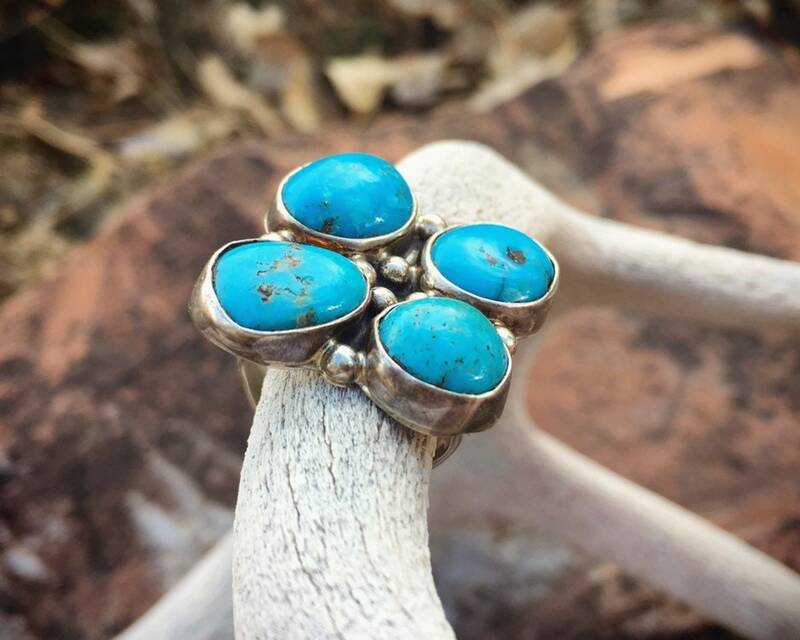 A great statement piece for the person who likes chunky jewelry, big rings, and especially big turquoise! 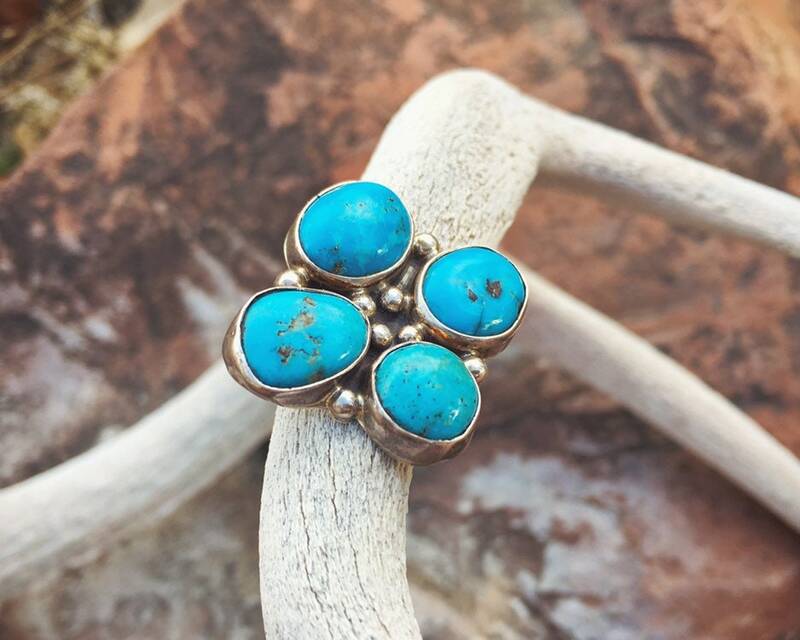 Carries a STERLING mark on the back and artist hallmark of Navajo Ernest Alviso. 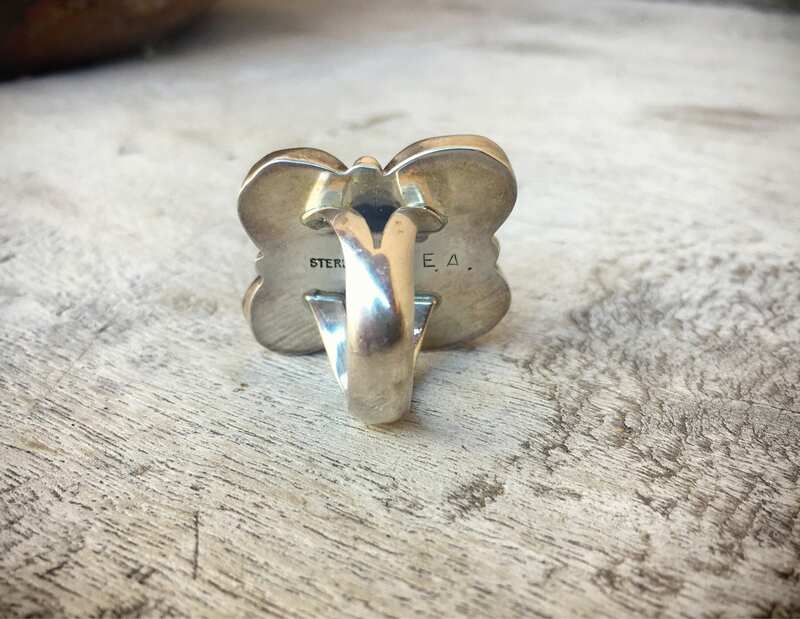 The size 6.75 ring measures about 1" wide by 1" long. This is a not-too-big ring with a large ring face! 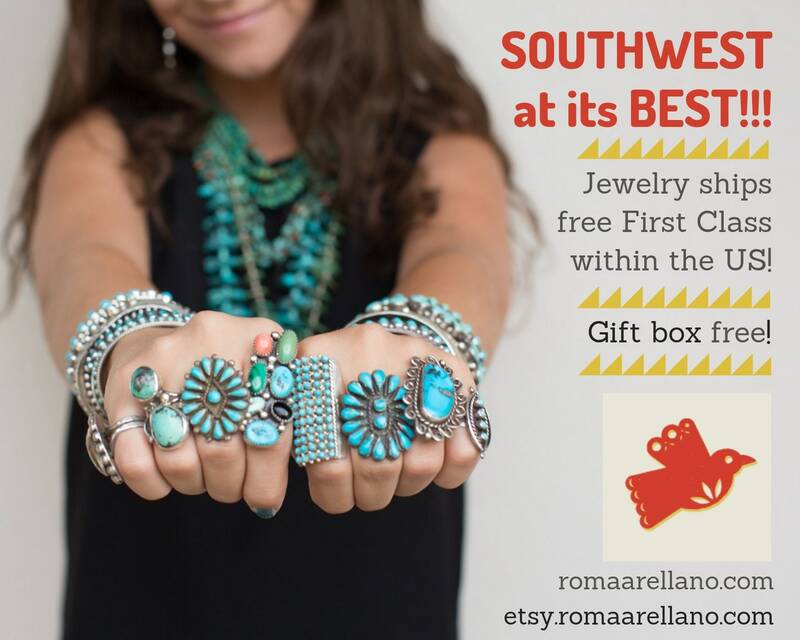 (Note that if you'd like it to be re-sized, that can be done for $25 additional.) 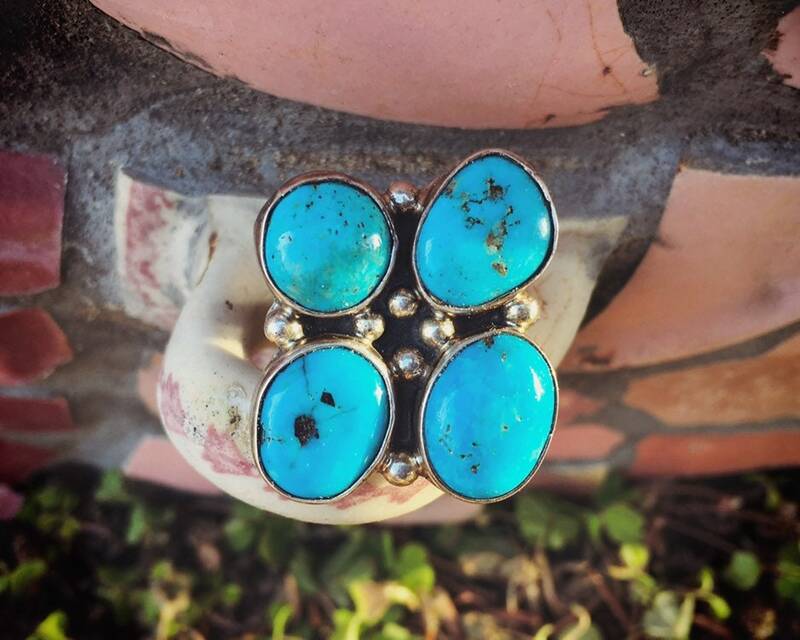 The cabs of turquoise are about 3/8" by 3/8". 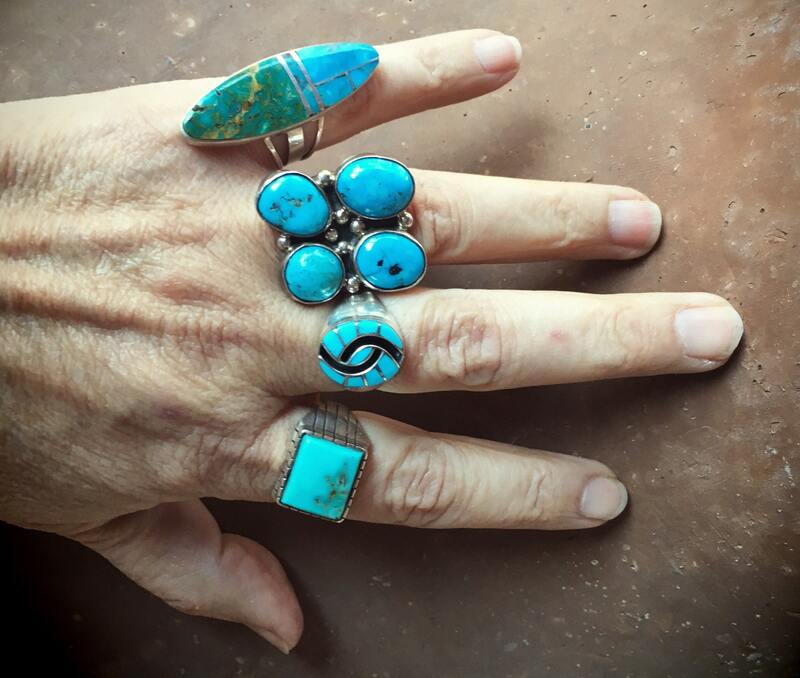 One of the cabs has a hairline crack from the webbing in the turquoise, and the back of the ring and the bottom of the band have small scratches from wear. Otherwise in good vintage condition.